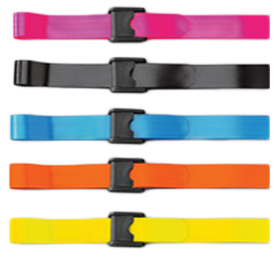 Posey EZ Clean Gait Belts, Premium or Economy, are designed to help with ambulation or transfer assistance. These provide caregivers with a secure hold point, while assisting patients during supervised walking and transfers. This gait belt is made of biothane polyurethane encapsulated webbing which wipes clean to help address cleanliness concerns. It has a spring-loaded, self-locking buckle that is easy to apply and molded from rugged polyethylene. When used correctly, this gait belt may also help prevent back injuries to the caregiver. These gait belts can also be worn by the caregiver when not in use to ensure immediate availability when needed. The belt has a quick and easy means of disinfection between patient use to reduce cross contamination. It is also available in attractive see-through packaging that easily hangs from peg hooks or that can be placed on a shelf (6546-R, 6546B-R, 6546P-R). Posey Premium EZ Clean Gait Belt is available in standard and bariatric lengths. 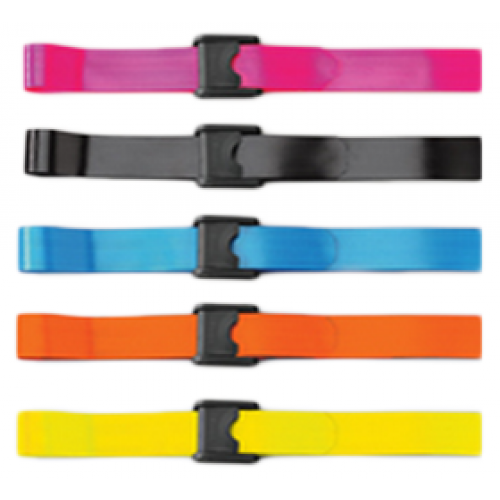 It has a 2" (5 cm) wide webbing and comes in black, blue, pink, orange and yellow. Provides caregivers a secure hold point while assisting patients during transfer.